Above conference rate expires on February 23, 2019. 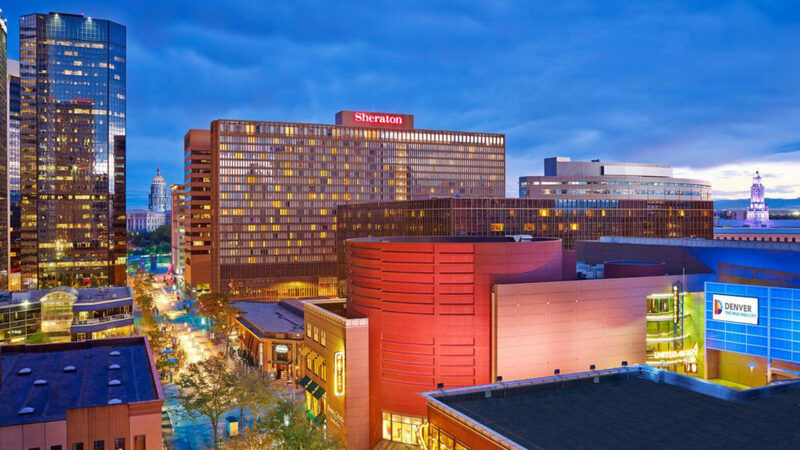 *Please Note: The above rates are the ONLY reduced rate options that The Forum has arranged with the Sheraton Denver Downtown Hotel for conference attendees. The Forum is NOT working with a third-party reservation company and has NOT authorized any such company to contact conference attendees or exhibitors regarding room reservations. If you are contacted by someone offering lower rates than the above published conference rates, please be aware that this is a PHISHING SCAM and is not authorized by The Forum nor the hotel. Familiarize yourself with all the available emergency exits and routes on guest room floors, meeting spaces and public areas. All have illuminated signs. Listen and follow announcements on the loudspeaker system. If the announcement orders an evacuation, please evacuate the building via the nearest fire exit. Once outside the building please make your way to the nearby City Center Park which will be the ‘rally’ point. In the event of a tornado, guests should not evacuate the building. The loudspeaker system will be used to direct guests below ground level or other areas inside the building, away from flying glass and debris. Conference attendees should follow the advice of hotel security and emergency responders. The Forum will send relevant announcements to attendees through the conference app and email. Please be aware that you are in the ‘Mile High City’ and staying at altitude. Keep hydrated and drink plenty of water. Shortness of breath can be an issue for some. The hotel has a number of first responders who are trained in First Aid/CPR/AED/Oxygen on-site. These first responders are available 24/7. The hotel has AED’s and Oxygen in 4 locations – Security, Beside Front Desk in the Plaza Lobby, the Fitness Center and Club Lounge. Pick up any house phone in the Meeting Space or Public Areas and you will be connected to PBX who will call Security to attend. Press the Emergency button on a guest room telephone and you will be connected immediately to 24/7 Security Dispatch. For non-urgent matters, call 303-626-2589.